The British were the first to deploy tanks in battle during the First World War, at the Battle of the Somme in 1916. The famous rhomboidal form factor of these Mk1 tanks was in direct response to the environment of the battlefield, the available technology and nature of war at the time: trench warfare. Although the French firm Renault introduced tanks featuring separate hulls and rotating turrets with the FT, and the Germans had great success with the Panzers of the Blitzkrieg in Western Europe, it was in my opinion the Russians that produced the ideal form factor for tanks as we know them today. The design of the T34 was heavily influenced by the geography and terrain of Russia. Due to the vastness of the country, one of the requirements was for a vehicle that could travel at speed. Much of the land was marshy, especially in the tough weather of the Russian winter when this problem was further exacerbated by heavy snow, so the vehicle had to be designed such that it would not get bogged down. The engine and fuel had to cope with the extremely low temperatures of the Russian winter. On top of all of this was the need to counter the power of the German Panzer IIIs and Panzer IVs that had been used so successfully in the revolutionary Blitzkrieg style of warfare used throughout Western Europe. So, from the perspective of a product manager, a tough challenge. In the 1920’s Stalin initiated the “5 Year Plan” which would industrialise Russia. In the 30s, an extensive tank building program was added to the increasingly large industrial base. Rather than starting from scratch, the Russians believed that they had the basis of a solution for a fast tank in an experimental American design of suspension developed by Walter Christie. In a battle with the Japanese in 1939, the Russians gained valuable experience with the Christie-based design in a tank series designated BT which featured large rubber-rimmed wheels, no return rollers, “bell cranks” which gave more vertical travel for the wheels and wide tracks which reduced ground pressure and which enabled these tanks to operate in terrain in which other tanks ground to a halt. Lessons learnt from this battle were incorporated into a new generation of tank, the T34. Areas that were improved included crew protection with sloping armour, increased power of weaponry and the problem of freezing (and more flammable) petrol fuel was solved by switching to a diesel powered engine. Sloping armour, a feature now taken for granted in tank design, was startlingly new at the time. Lightness was needed in order to maintain a high speed (the T34 could reach 33mph, the Panzer IV 26mph) and also to keep ground pressure low so that the tank could operate in deep snow or marshy ground. But thicker and therefore heavier armour was needed to provide crew protection. The answer to this conundrum was elegantly simple. By sloping the armour the Russians effectively increased its thickness without unduly increasing the weight of the vehicle (the T34 weighed 26.5 tonnes, the Panzer IV 25 tonnes but with thinner tracks so it got bogged down much more easily). Sloped armour also deflected missiles, rather than allowing them to penetrate and “missile traps” were eliminated as much as possible. Raw materials were scarce and weight for weight the sloping armour also meant less material was needed for its construction. Compare this design to the boxiness of the Panzers and especially of the Tiger Mk1 introduced in 1942 as a response to the T34. Ideology and dogma meant the Germans initially refused to copy the features of the “Untermensch’s” T34, which meant the only competitive response could be more of the same. The Tiger 1 had formidable weaponry in the 88mm gun, but the slab-sided armour of the earlier Panzers could only be made stronger by increasing its thickness up to 200mm in places. This meant the Tiger weighed 56.7 tonnes, a weight which challenged the power of the engine and developed a maximum speed of 24mph, some 10mph slower than the T34. Although offering more protection for the crew, all that think armour also of course consumed more raw material, a factor that didn’t seem to be considered by the decision maker in chief, Hitler. The initial T34 design was so good, the Russians simply refined it during the course of the war and for many years after. This meant manufacturing speed was optimised and costs were kept to a minimum, even during the relocation of tank production from Leningrad, when that city looked likely to fall into the hands of the Germans. 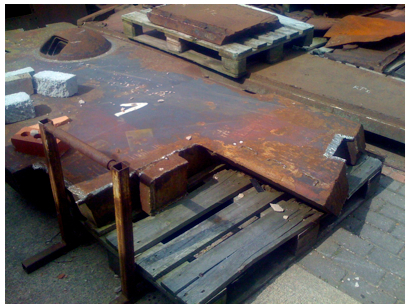 This astonishing relocation project transferred some 2500 factories over 1000 miles, yet production barely missed a beat! The consistency of design meant that operational and maintenance crews gained invaluable experience with the product, and the supply chain for spares was simple and continuous. By contrast, first the Germans produced the Tiger Mk1 and then the Panther, their interpretation of the T34 design and later still the Tiger II, the monstrous Maus, and the simply insane 1000 tonne Landkreuzer P.1000 Ratte. 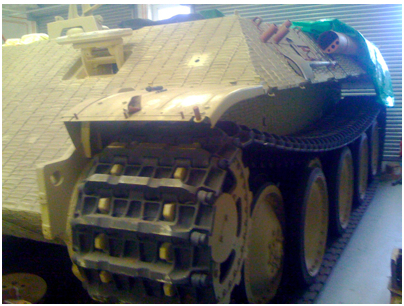 The Ratte, below, compared to regular tank and half-track. It was designed in 1942 by Krupp with the approval of Adolf Hitler, and was an attempt to create a "landship" using Naval guns, but the project was canceled by Albert Speer in early 1943 and none were ever completed. Big cats, the ultimate hunter? The diverse range of tanks that the Germans produced in response to the T34 absorbed a great deal of development resource and meant that the diminishing number of crews and support personnel received insufficient training. The initial production run was rushed through without sufficient testing and were proved to be unreliable in the field. The life span of the final drive in the Panther was only 150km, a weakness of product design that was never resolved. In addition, problems in the supply chain, which was being disrupted by Allied bombing campaigns, meant that inferior materials had to be used in the construction and spare part manufacturing couldn’t keep pace with tank repairs in the field. Further to this, at great personal risk, the slave labour used in the factories did what they could to sabotage units, for example by placing cigarette filters in fuel pipes. The competitive response by the Germans to the T34 never did quite match the all-round completeness of the T34. The Tiger 1 was more heavily armed and armoured, but it was slower and heavier. The Panther was more successful than the Tiger 1 with 6,000 units manufactured vs 1,347, but lacked reliability; its design exceeded production capability. With 492 units manufactured, the Tiger 2 had little impact over all. The Germans strove for a no-compromise solution of engineering innovation and excellence and that was their weakness. A forty year production run - that's some ROI! Post-war the T34 was kept in production until the mid 1980s and was in service around the world until even later. 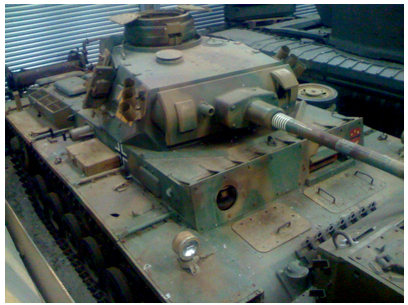 In total over 84,000 T34 tanks were built, a testament to the original concept. 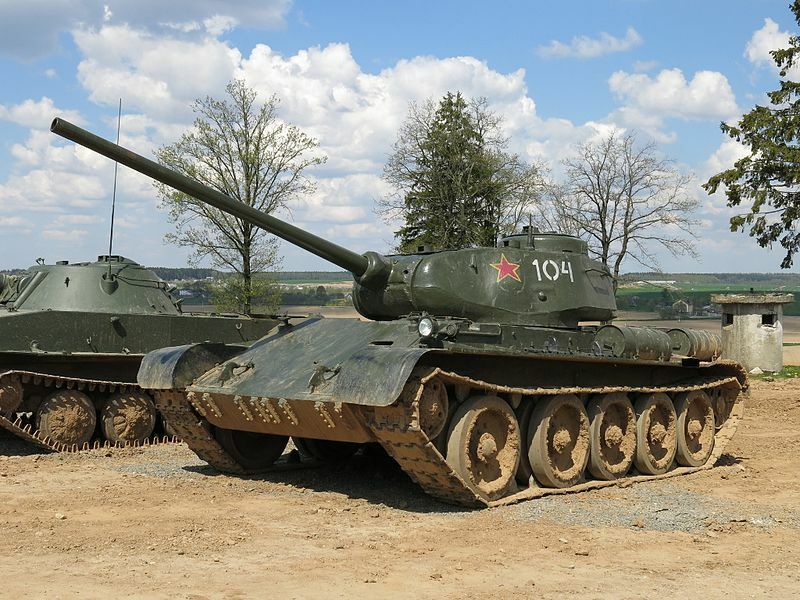 The design of the T34 was built on for many years after the war in future generations of tank. Its immediate successor, the T44 was introduced in 1945, a successful but short lived design with some 2,000 units being built. This design evolved into the T54/55 series, prototyped in October 1944 and which resulted in it becoming the most successful tank design ever, with between an estimated 100,000 units being built. In terms of product design the T34 is a classic. Born out of necessity, its blend of form and function achieved an impact far greater than the immediate need for an effective fighting machine. Not only did the T34 tank revolutionise tank design, it saved Russia from defeat by the Germans and was instrumental in catapulting Russia out of its peasant economy to a global superpower.